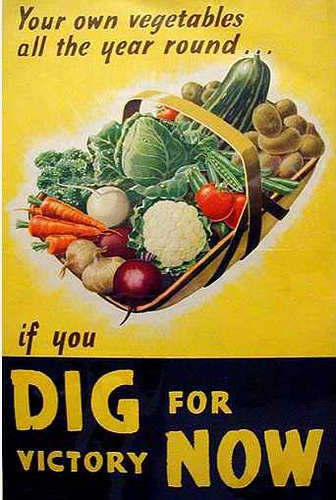 This entry was posted in Uncategorized and tagged 1940s experiment, dig for victory. Bookmark the permalink. ← Will eating a diet based on wartime rations save you money? This is a wonderful clip! Thanks for sharing! My parents always had vegetable gardens growing up and I have carried that on with my own children. It is amazing how different fresh from the garden veggies taste, and the savings are unbelievable. I was actually a bit perturbed this year because had I know it was going to be such a mild winter in Southern Ontario, I could have tried some late root crops of turnips, parsnips and beets! While I do see a trend in urban farming, I think so many more people could be doing it to keep things local and eat healthier.